As many of you are likely aware, we're currently approaching the end of the year that has marked the 30th anniversary of the Super Mario series. It's hard to believe that this iconic game franchise has only been around for 30 years when you look at the impact it's had on the game industry and the world as a whole, but nonetheless, time flies when you're having fun. 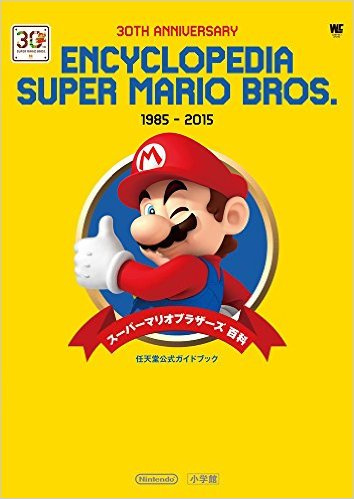 In an effort to honor Mario's rich history and to fittingly close out his 30th year, Nintendo of Japan has just published an encyclopedia of all things Mario. Covering all 17 main titles in the series, this volume is absolutely packed to bursting with developer interviews, original art, explanations of level designs, famous glitches, and much more. Unfortunately, there's no word as to when or if this will be released in the West, though it would be a bit of a head scratcher if Nintendo chose to leave the rest of the world out of this celebratory work of literature. We'd sure love the chance to lay this next to Hyrule Historia on the coffee table. What do you think? 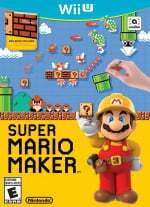 Would you buy this if Nintendo published it outside Japan? Do you think we'll be getting this? Drop us a comment in the section below. @dethmart Have to agree that this would be a great Christmas gift. I'd love to read this. Sort of related, but this month's Retro Gamer has Mario on the cover and their main feature is the 30 Greatest Mario Moments during it's 30 year run. @gaga64 I don't think they will insert a timeline, as there are already inconsistencies in the Mario universe, and the people at Nintendo likely want to have the possibility of changing the role of characters. Since the encyclopedia is about the Super Mario games, they will likely treat each one separately from the others. It's even harder to believe that all Nintendo did to celebrate was release a creation game that isn't as good as something Sony put out 7 years ago. Oh my! What about releasing the actual games?? Super Mario All Stars 60Hz on Wii U!! I want this. I want this NOW. Please release in Europe and North America please Nintendo. No limited edition hardware means crap anniversary. If its ever translated into English (and not flipping expensive) I'd get it. If this doesn't get published in the West, I'll import it from Japan! The artwork alone is probably worth it! @AVahne Classic 8-bit Mario amiibo. Just saying. Would love this and the Splatoon artbook so very much. Perhaps we should start writing to Dark Horse, who already published Hyrule History. Do it, Nintendo. Make an English translation, please!! !